Designing a website is more than just creating a pretty UI design! It starts way before drawing the first line, with understanding your client’s needs, the purpose and goal of the website and the target audience(s). During the course of the project, new questions may arise or old assumptions might prove to be wrong, and you might need to alter your course. This is all part of the exciting design process and makes for a fun journey you’re walking together with your client! 1. What is the user goal of the website? Probably one of the most important questions of all. One some clients, at first, have trouble verbalizing in detail, but it’s a great exercise to answer this question. The user goal might change over the course of a project as we define the other questions below, but we always need to come back to it and make sure that all design decisions align with it to not lose track of the goal and purpose of the website. What is the focus of the website? What kind of business is it promoting? Make sure these things are well communicated to the user upon first visit. 2. What is the business goal / purpose of the website? Of course also very important, but often very different from the user goal. Make sure to understand the expectations your client has for the project. How he/she measures success. Try to put tools in place to measure success, such as Google Analytics to capture user data and behavior. With the above two questions you already have your first two user groups: the users and the client. Though both are equally important and the client pays your bills, only the users who visit and interact with your website make it a success, so focus on a user centric design! What different user groups and audiences does the website speak to? If it is an existing website use Google Analytics or other tools to learn more about your existing users. If it is a new project, make assumptions about your target audience(s) by asking the client, doing competitors analysis, and industry research. 4. Will this feature / element improve the overall User Experience? With all the hard work we put into each project, we want to make sure we are always improving the User Experience with every decision we make. Sometimes we are tempted to add the latest bells and whistles to a new project without any need for it. I strive for my client’s websites to be a success, therefore I need to make sure to align my design decisions with the goals and expectations of the project. 5. Are my assumptions right? After launch we should not rest! Now is the time to review our assumptions, get user feedback, and to iterate! A website is a living breathing thing that should not be launched and sit there stale for years – these times are over. 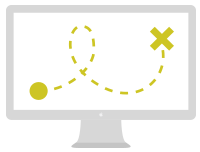 An iterative process can help shape the success of a website and is also great for SEO! Each project will have more than just 5 questions, but I start with these. But answering these questions and collaborating early will lead to a better User Experience for the user and a more successful product. 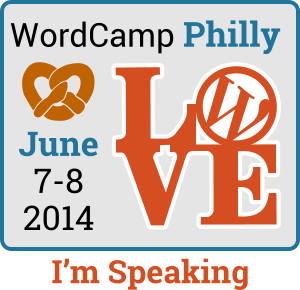 I’m super excited to be speaking again after quite a while and I’ll be kicking it off at WordCamp Philly Saturday morning. I’ll be speaking about User Experience Design and WordPress, best practices and why you shouldn’t just build a pretty website!